Welcome! I approach therapy with a holistic, relationship-oriented lens. Relationships have the power to effect great change and healing. 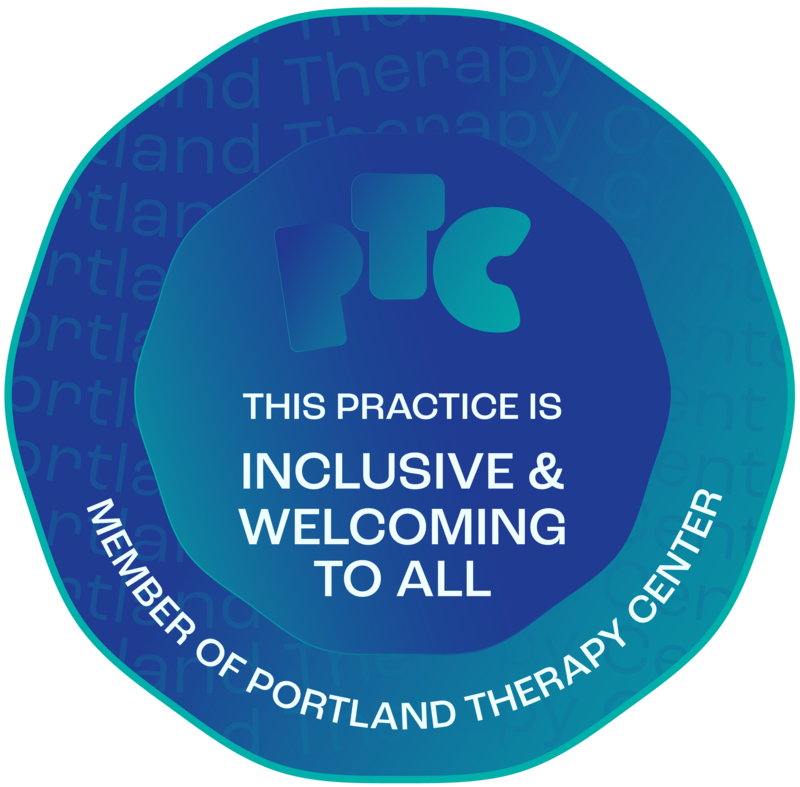 I strive to provide an environment of openness, curiosity, and safety to allow exploration of anything you bring into therapy. I completed a year-long internship at META Counseling Clinic in Portland, OR where I provided mindful, experiential therapy to couples and individuals. I have completed trainings in Hakomi, Attachment and the Re-Creation of Self model. I opened my own practice in 2018. I was born and raised in the Northwest and happily call Portland home. I came to this profession by way of my own life struggles and path toward growth and wholeness. I feel deeply honored to do this work. I earned my Master of Science degree in Counselor Education with a specialization in relationship and family counseling from Portland State University. I am a registered licensed professional counselor intern in the state of Oregon. I am working toward licensure and am under the clinical supervision of Stephen Keeley, LPC and Anne-Marie Benjamin, LPC. My practice is built upon the belief that we all hold inherent worth. Sometimes life experiences cause us to forget our innate wholeness. My goal is to help you connect with your authentic self and live a life that is meaningful to you. I provide a warm, compassionate presence that allows you to explore your experience free of judgment. My work is anchored in the use of the therapeutic relationship as a vehicle for healing and growth. Using the present moment, I will work with you to help you identify roadblocks or barriers that get in the way of meaningful living. I use a variety of approaches depending on your needs, but my approach draws heavily from Hakomi, Attachment Theory and the Re-Creation of Self model. Sometimes we get stuck. We may see the path that we are meant to travel, but feel overwhelmed by old patterns or ways of being that no longer serve us. I can help you gain clarity and restore hope in your unique path. Using the present moment, I will help you gain a deeper understanding of yourself. With openness and gentle curiosity, I will assist you in exploring and learning how to live in alignment with your true self. My work with individuals is supported by my belief in our shared humanity, including both suffering and resiliency. As individuals we can carry with us our own templates for love and connection into our romantic relationships. Sometimes these templates can grate against each other, causing painful conflict cycles and feelings of disconnection. You may feel a lack of trust or stability in your relationship or feel overwhelmed by your inability to communicate with your partner. Working together, I can help you better understand your emotional responses to one another and where you may get stuck. With this understanding and awareness, I will help you integrate more positive interactional styles that will help you find deeper intimate connection. I accept cash, check, or credit card. As a registered intern in the state of Oregon, I currently do not accept insurance. I have a limited number of sliding scale spots available for those experiencing financial hardship.